Аннотация к книге "What the Dog Saw"
In this brilliant and provocative book, covering everything from criminology to ketchup, job interviews to dog training, Malcolm Gladwell shows how the most ordinary subjects can illuminate the most extraordinary things about us and our world. Looking under the surface of the seemingly mundane, he explores the underdogs, the overlooked, the curious, the miraculous and the disastrous, and reveals how everyone and everything contains an incredible story. 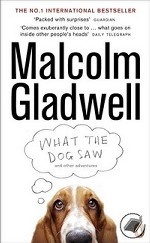 "What the Dog Saw and Other Adventures" is Gladwell at his very best - asking questions and finding surprising answers.